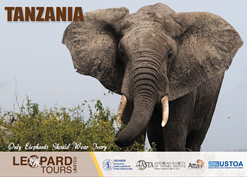 Cultural tours are a popular product in Tanzania that is mostly sold as an add-on to enrich main safari tour programs. Most cultural tour sites in mainland Tanzania were developed by the Tanzania Tourist Board (TTB) in conjunction with the Netherlands Development Organisation (SNV), starting with selected villages around Arusha in northern Tanzania and spreading out into other areas. These are traditionally existing villages which have been made accessible to visitors who may have a glimpse of the authentic lifestyle of the more than 120 tribes in rural Tanzania. Most visitors to Africa, especially first timers, find the continent and its people enchantingly different and a special experience. We at Leopard Tours appreciate this fact and endeavour to include visits to the local communities to give our guests the opportunity to see first hand the way of life in a typical African village. 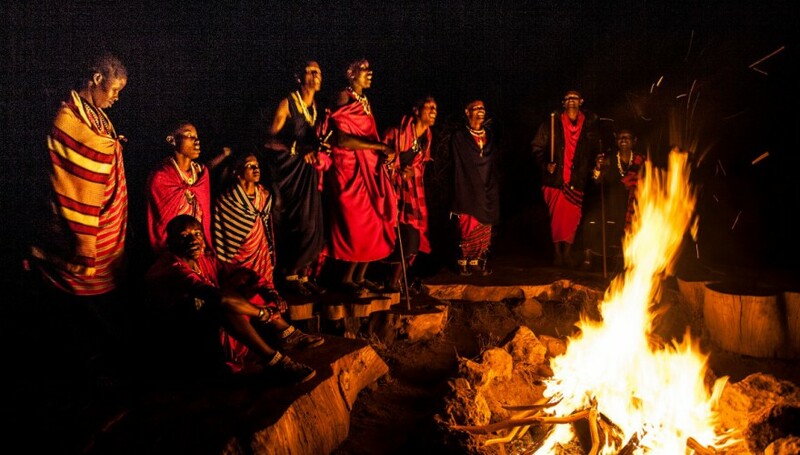 Besides enriching itineraries and adding quality to the tours offered in Tanzania, the cultural tours are generating direct income to the local communities that are being visited, contributing to their development. Thus by visiting the cultural sites the guests would be giving support to community health, water supply, primary education and many other social and economic projects carried out at village level as well as reforestation and protection of environment. Mto wa Mbu is one of the first cultural tourism sites developed by TTB and SNV. Situated on the foot of the Great Rift Valley bordering Lake Manyara National Park, straddling the famous Arusha / Serengeti route, 120kms and 60kms from Arusha and Ngorongoro respectively, Mto wa Mbu is one of the most popular cultural tour sites in Tanzania. Following the setting up of irrigation systems in the early 1950s, the area rapidly developed into a small town attracting a new wave of tribes from all over the country, each with its own cultural background. Nowhere else in Tanzania have so many different tribes settled in such a small area. Choose from a walk through the farms and green oasis on the foot of the Rift Valley; a climb to Balala Hill; a view into the culture of the many tribes living in the area; a trip to Miwaleni Lake and waterfall where there is an abundance of papyrus; visits to development projects that aim to improve agriculture and start income-generating activities for local farmers. 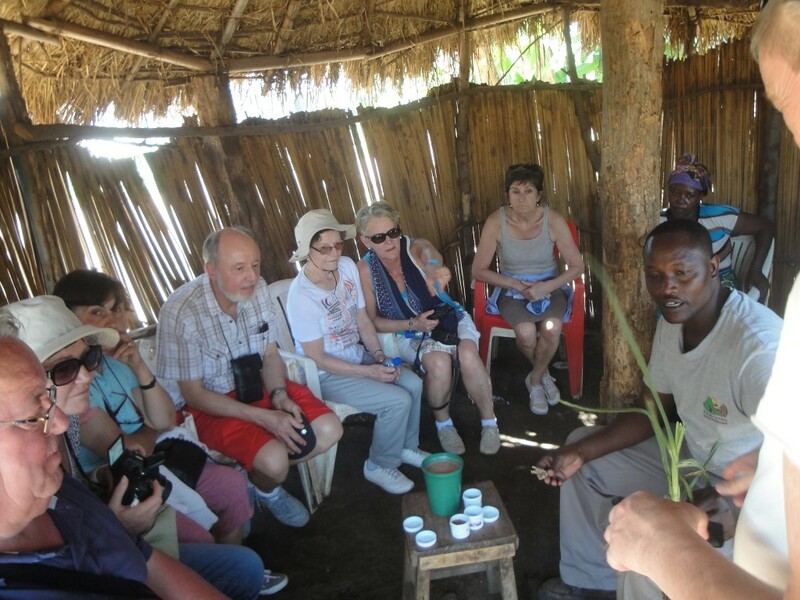 The Mto wa Mbu tour is a village walk, designed to provide guests with an experience of the rich cultural heritage in Tanzania, albeit in a short time of half a day or one full day. The varied produces, handicrafts and activities that can be seen on the market place and in the village farms and lifestyle is an illustration of this cultural diversity. Visitors may see Chagga people from the slopes of the Kilimanjaro brew their famous banana beer, mbege, and learn why out of more than 30 varieties of bananas cultivated here only two species are suitable for producing the drink; meet a farmer from Kigoma extract palm oil from palm trees that he brought from the shores of Lake Tanganyika; appreciate the Sandawe with their fascinating click language, similar to the Khoisan of the Kalahari Desert, making bows & arrows for hunting; interact with the Rangi from Kondoa using the papyrus from the lakes and rivers for weaving beautiful mats and baskets. Visit the Mbugwe people from Manyara Region who will show you how they grind different grains to obtain flour using a traditional millstone; join the local people of Mto wa Mbu and learn how they construct mud huts, typical housing for most tribes around the area. You will be shown how to mix mud, rice husks and cow dung to obtain the right mud stuff for strong walls, and how local people roof their huts using dry banana barks and leaves. Learn about traditional iron smelting technology, one of the oldest in Africa. 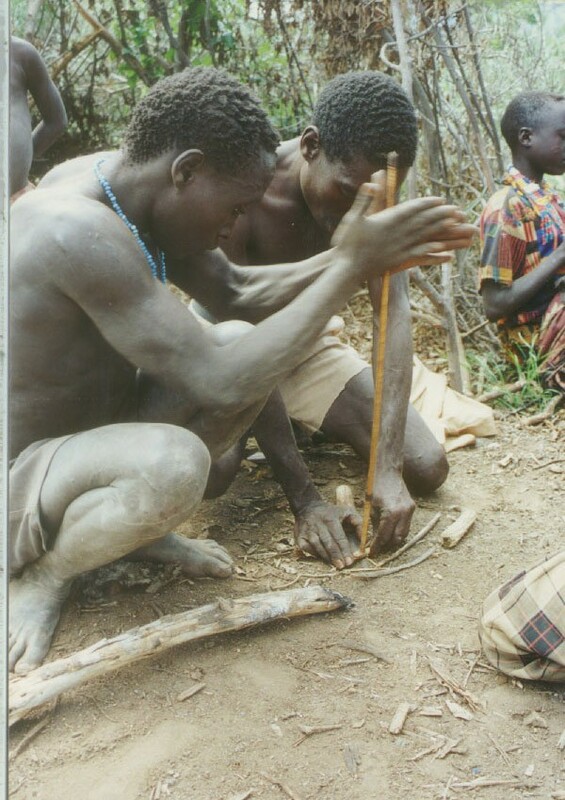 The local people will show you how to make different tools like spears, knives, arrows. Learn from the local women how pots and dishes are made from clay soil and baked to make them hard. On the surrounding plains and woodlands to the north, east and south live native Maasai families in their traditional bomas (homesteads) while the warriors wander with their cattle looking for pastures and water. 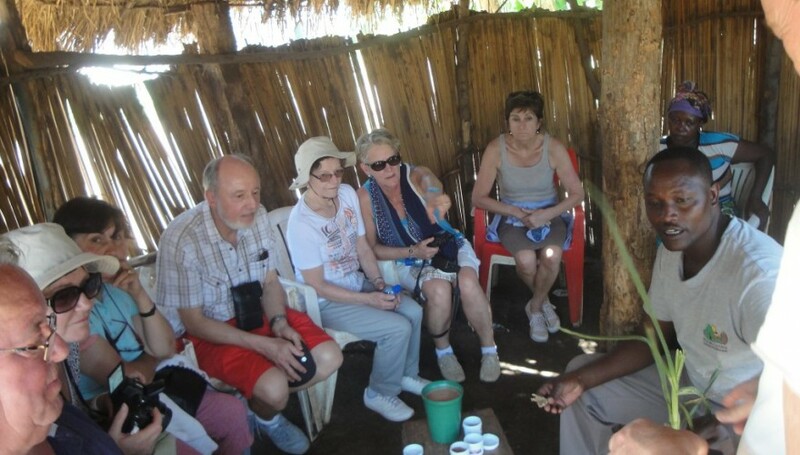 Mto wa Mbu village walk is one of the best selling cultural tours with Leopard Tours. For flawless organisation it is best if the tour is reserved in advance together with the main program. Most visitors to Africa, especially first timers, find the continent and its people enchantingly different and a special experience. 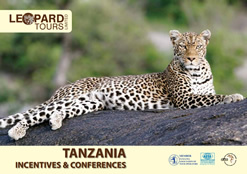 We at Leopard Tours appreciate this fact and endeavor to include visits to the local communities to give our guests the opportunity to see first hand the way of life in a typical African village. 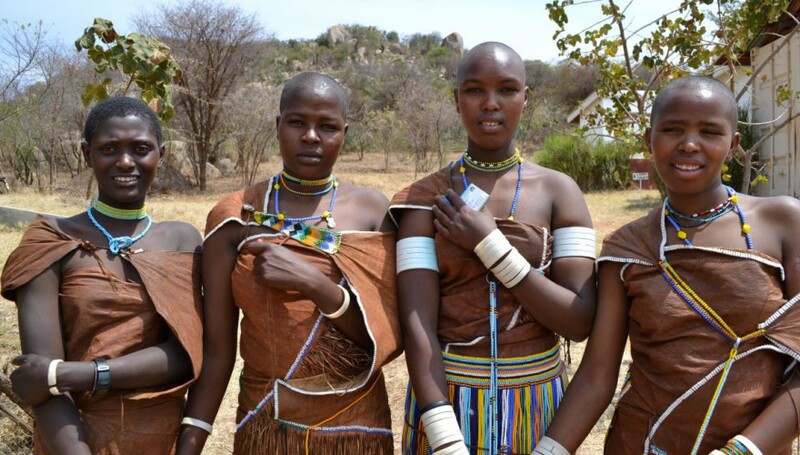 Tanzania has over 120 tribes each with its own culture. The Maasai in northern Tanzania are among the most popular ethnic groups in the area, a proud people fervently attached to their cultural values. Ngorongoro is the home of the pastoral Maasai, who have been allowed to live in the conservation area, a pioneering experiment in multi-purpose land use where people, their livestock and wildlife coexist and share the same protected habitat. The Maasai move widely with their herds of cattle, sheep, goats and donkeys in search of pasture and water. In recent years the Maasai have been encouraged to work on the land to supplement their traditional staple food of milk and meat. 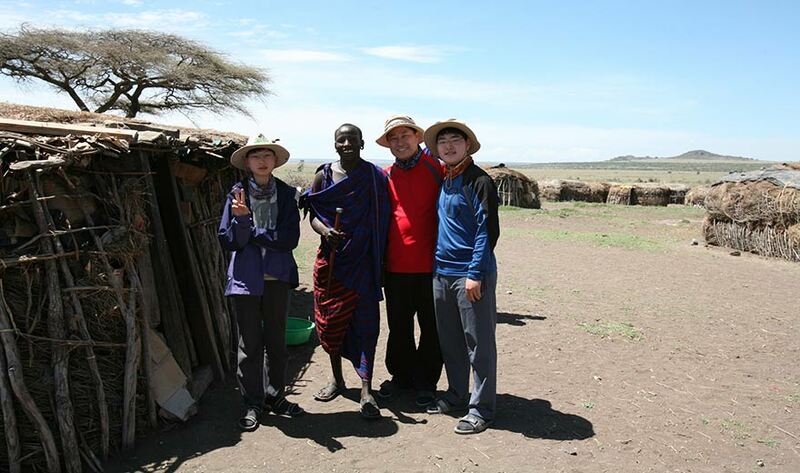 While in Ngorongoro most of the guests on safari love to include a visit to a Maasai Boma (homestead). The Seneto Maasai Boma on the western slopes of the Ngorongoro Highlands about two hundred metres off the main road to Serengeti is one of the most famous cultural visitor points for guests. Another popular Maasai village is Irkeepus which is located in the Ngorongoro Highlands and a visit can be combined with a trek of Olmoti or Empakaai Crater. Visitors will be shown around the Maasai Boma, and are welcome to explore the huts where Maasai families live and learn a few things about their way of living. The huts, normally built by women, are made of wood, mud and cow dung. The visit lasts about 30 to 45 minutes and at the end the villagers will show off and try to sell their colourful beadwork and other handcrafted wares. 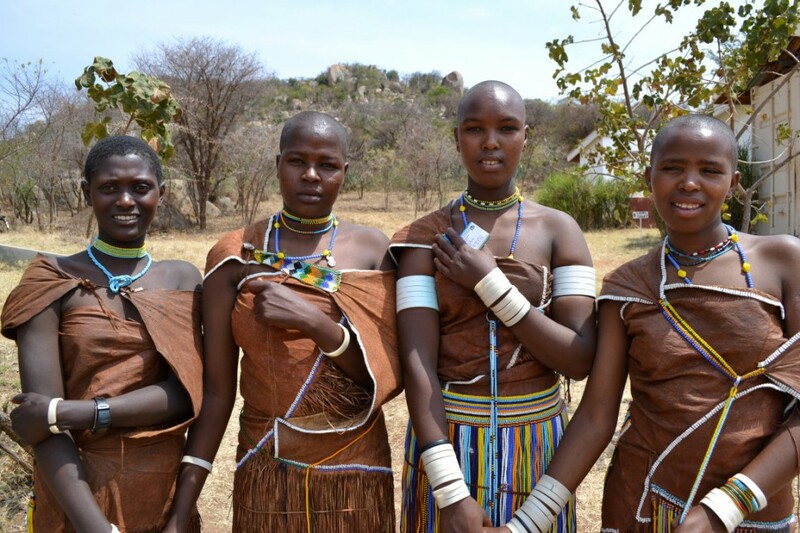 If time allows the Maasai warriors would challenge men to engage in a spear throwing match or perform a tribal dance, and ladies may choose to participate in beadwork. This is intended to expose visitors to the Maasai culture though briefly and enrich them with some authentic African experiences. Lake Eyasi is a very scenic soda lake found on the southern border of the Ngorongoro Conservation Area, a couple of hours drive from Karatu. This less visited lake lies at the base of the Eyasi escarpment on the western Great Rift Valley wall, bordered by the Eyasi Escarpment in the northwest and the Kidero Mountains in the south. This is a hot, dry land, around which live the Hadzabe people, often associated with the Khoisan languages in Southern Africa because of their click language. The Hadzabe are believed to have lived here for nearly 10,000 years and continue to follow hunting-and-gathering traditions. Also in the area are the Iraqw (Mbulu), a people of Cushitic origin who arrived about 2000 years ago, as well as the Datoga also Cushitic, the Maasai and various Bantu groups including the Nyakyusa, Nyamwezi, Chaga and Meru. The area is Tanzania’s main onion-growing centre, and there are impressive irrigation systems along the Chemchem River drawing its water from natural springs. The Hadzabe, a hunter-gatherer tribe, live close to the shores of Lake Eyasi, as do the Nilotic-speaking Datoga tribe who are pastoralists. Visits to these tribes are possible on half day or full day excursions which would include a visit to their homesteads, learning about their way of life, medicinal plants, and even animal tracking with bows and arrows with the Hadzabe hunters. Preparation of “gissuda” – a local beer – for ceremonies, weddings, prayers to gods & ancestors. The type of honey used is absolutely natural and women are not allowed to drink this local beer made out of honey & some natural tubers. 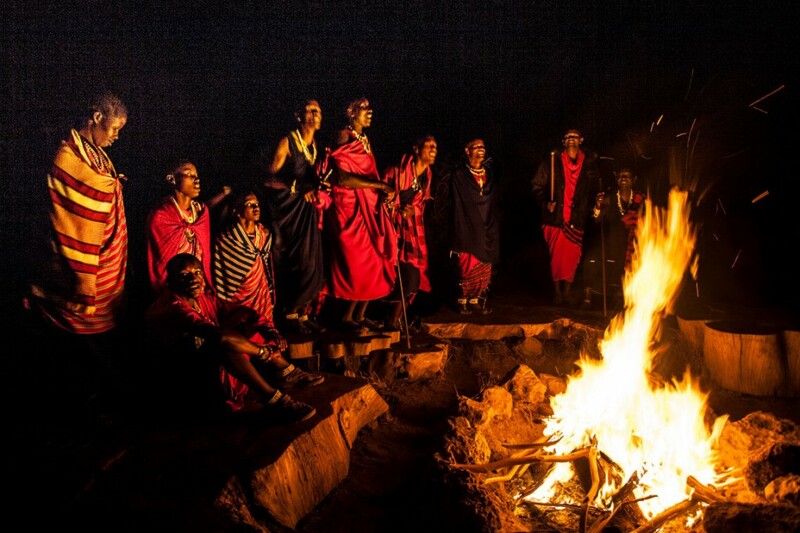 Wa-arusha tribe: listen to age-old stories, visit traditional houses, (optional – indulge in a delicious lunch and / or dinner prepared by the Juhudi Women’s Group). One can take a half day or full day guided tour to this village on the foothills of Mount Meru, visiting some farms and several development projects in the village including soil conservation, irrigation, cross breeding, bio-gas production; coffee and tea can be served at Mzee Loti’s farm. Walk to the nearby “bomas”, to see the various styles of traditional Maasai and Wa-Arusha houses. Climb Lekimana hill, from where you can have a beautiful view of Arusha town and the surrounding Maasai plains, on a clear day Kilimanjaro is visible from here. The tour can include a climb to Kivesi Hill, an old volcano with a natural forest at the summit. Mulala village is a typical rural setting on the southern lower slopes of Mount Meru, located about 30kms from Arusha town off the Moshi / Arusha highway near Usa River. Mulala Cultural Tourism Program is run by the Agape Women’s Group who offer a tour of traditional activities of about 1-2 hours where one can visit farms and learn about farming methods and various economic activities they have started including cheese-making, bread-making, preparing flower seeds, chilli growing and sewing. 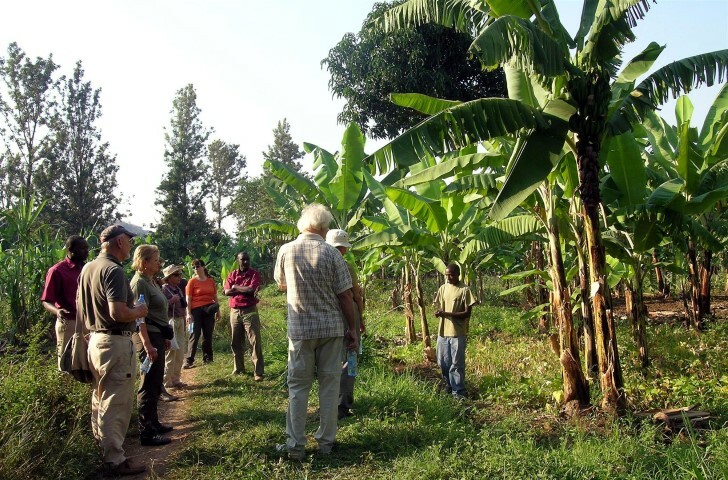 Another tour is the Marisha River Tour (2 hours) where a local guide will show you common medicinal plants used by the villagers, then take you on to the Ziwa la Mzungu (White Man’s Lake) where a big colony of fruit bats thrives; or perhaps take the Lemeka Hill Tour (2 hours) where you can walk through the coffee and banana plantations and head up Lemeka Hill for breathtaking views of both Mounts Kilimanjaro and Meru and of the Maasai Plains and on the way back a visit to the traditional village healer. There is also a place for overnight camping and simple traditional meals for those wishing to spend a night. The Mulala Cultural Tourism Programme is the only one completely launched, developed and implemented by women as a means to self-sufficiency. The Olduvai Gorge, popularly referred to as “The Cradle of Humankind”, is the site where in 1959 Dr. Louis Leakey discovered the skull of Zinjanthropus or “Nutcracker Man” believed to have lived 1.75 million years ago. Later reclassified as Australopithecus boisei, this creature had a massive skull though small brained (500 cc) with huge teeth. Several months later Dr. Leakey found another fossil hominid in the same layer of excavation, called Homo habilis or “handy man”, smaller than the “Nutcracker Man” but with a larger brain (600 cc) and capable of making simple stone tools. The Kondoa Rock Paintings in Kolo are located about 260 kilometres to the south of Arusha town, a 4-hour drive on the Great North Road, and about 20 kilometres from the Kondoa District centre. This is a world class historical heritage site of ancient rock art, remarkable not just for their quantity but also quality. Human figures and animals (elephant, eland and giraffe) usually painted in dark red, and a few abstract designs, can be seen on the face of the rocks and caves. According to researchers these are the earlier rock paintings dated 5,000 to 10,000 years and are attributed to hunter-gatherer Bushmen, a click language tribe, who are said to be ancestors of the Sandawe tribe currently inhabiting the western part of Kondoa District. The languages of the Sandawe in Kondoa and the Hadzabe in Lake Eyasi though not ethnically related are connected to the Khosian languages spoken in the Kalahari Desert in southern Africa that have click consonants. It is not surprising that similar rock paintings can also be viewed in some parts of southern Africa inhabited by the Bushmen. 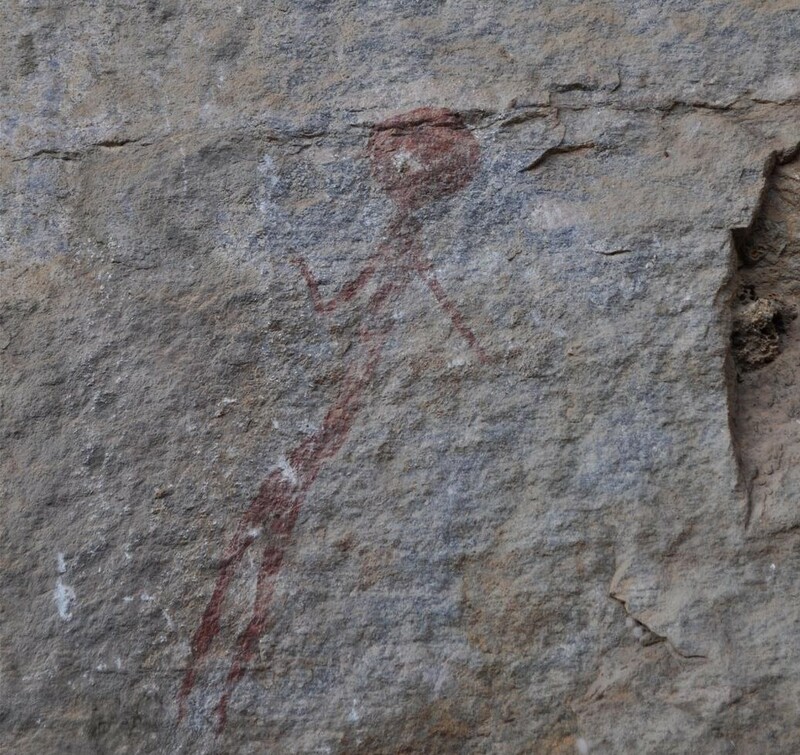 More recent paintings whitish in colour can also be seen, dating probably 500 years ago, which are said to have been made by the Bantu speaking Warangi, the predominant agriculturist tribe in Kondoa District. The site visit was prompted by increasing interest in the ancient rock art from potential visitors to Tanzania and the need to enrich the visitor itinerary in the northern Tanzania safari land. The Kolo Rock Paintings are located along the Maasai Escarpment bordering the Great Rift Valley hardly 160 kilometres from Tarangire National Park. The rock paintings can be visited in a day trip from the park or Maramboi and Lake Burungi areas in Tarangire, leaving in the morning with picnic lunch for a 2 to 3-hour tour of the sites at Kolo and neighbouring Pahi mountains and returning to Tarangire late in the afternoon. For those interested in spending more time to explore the intriguing prehistoric paintings scattered around the area, visitors can be accommodated in Kondoa town where basic but clean guest accommodation is available. The Kolo Rock Paintings are a protected area and one of Tanzania’s UNESCO World Heritage sites. 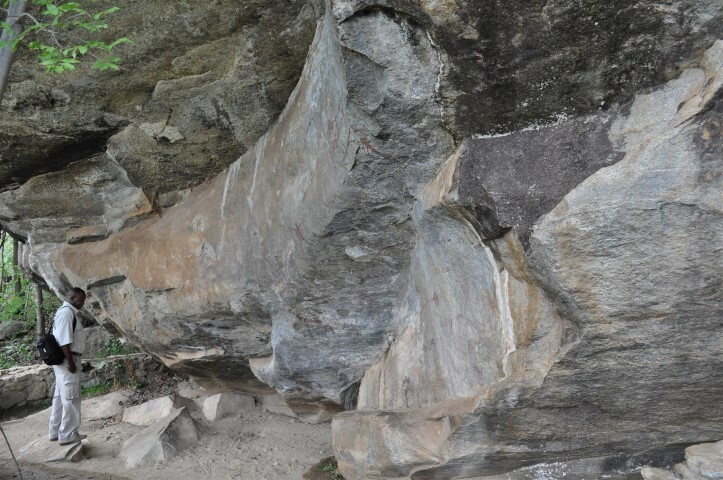 There are many sites of rock paintings scattered around the Kondoa district, but the paintings at Kolo and Pahi area are the most documented and visited. Some 75 kilometres to the north of Dar es Salaam lies Bagamoyo, once one of the most important trading centres on the East African Coast and a famous embarkation port for slaves from the hinterland. When the German colonialists came to East Africa they made Bagamoyo their first German East Africa capital between 1886 and 1891. Bagamoyo white sand beaches are considered some of the finest on the whole of the East African coast. Kilwa, one of the UNESCO World Heritage Sites in Tanzania, comprising the historical islands of Kilwa Kisiwani & Songo Mnara or Kilwa Kivinje, is located on the southern coast of Tanzania about 6 hours drive from Dar es Salaam; there are scheduled flights by small aircraft connecting Kilwa with Zanzibar, Dar es Salaam and the game parks. Kilwa was the most powerful city state on the East African coast for three centuries from the 12th century to the 15th century, controlling trade from Sofala in Mozambique to Mombasa in Kenya, a stretch of about 1900 kilometres, plus the islands of Comoro. Now a UNESCO World Heritage Site, Kilwa was an important trading centre linking Asia across the Indian Ocean with the African hinterland where ivory and gold were exchanged with beads, cotton cloth, porcelain and jewellery. Traders from the Arabian Peninsula and the Persian Gulf settled in Kilwa as early as the ninth century, leaving lasting cultural imprints that can still be seen in the preserved ruins with their elaborate architecture and the Swahili civilization on the East African coast. Set like a jewel in the warm and tranquil coral waters of the Indian Ocean, 15 minutes flight from Dar es Salaam and less than an hour from Arusha, are the legendary islands of spices, fragrances, flowers and fruits – Zanzibar. To the shores of these islands came Summerians, Assyrians, Hindus, Egyptians, Phoenicians, Arabians, Chinese, Malaysians, and the Portuguese, all sailing in on Monsoon winds. From these shores the great European explorers Burton, Speke, Livingstone, Krapf, Rebman, and Grant set out on their voyages of discovery into the East and Central African hinterland. The different peoples from all corners of the world that had visited and settled in Zanzibar over the centuries have left a lasting an imprint on the islands’ culture and architecture. Zanzibar is the birthplace of the fascinating “Swahili” culture with its elegant architecture full of balconies, courtyards, ornately hand-carved doors and mosques. The winding narrow streets, the House of Wonders, Tip Tip House (notorious slave merchant), and the Palace Museum are just some vivid reminders of the Islands’ long and colourful history. 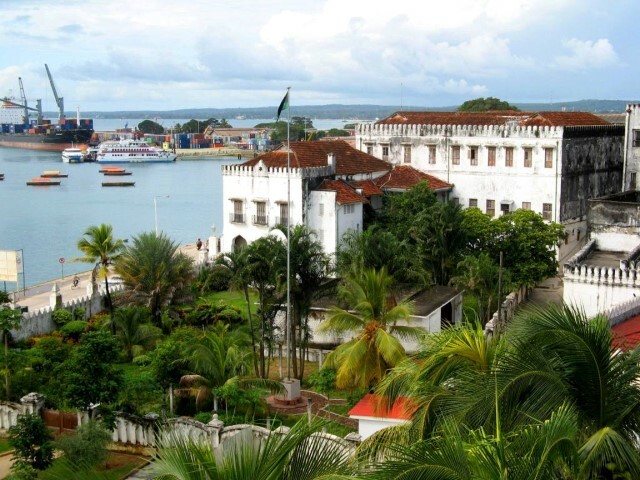 The Stone Town is travel into history, it is must tour for visitors to Zanzibar. Zanzibar Stone Town is a UNESCO World Heritage Site.